Can Lionsgate stay hot in 2013? 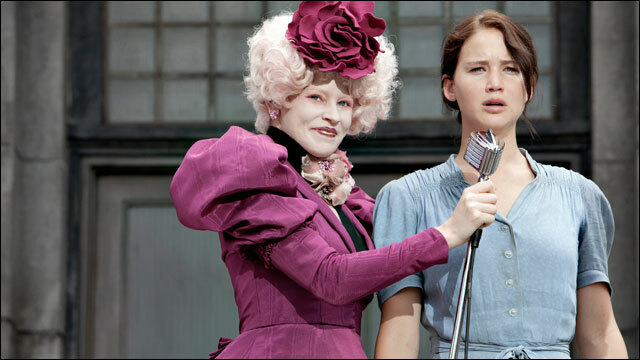 'Hunger Games' distrib looks to retain 2012's $1.2 billion in domestic B.O. If 2012 was the year Lionsgate grew up, then 2013 will be the first year it has to prove itself in the big leagues. Lionsgate shed the “minimajor” label during 2012 thanks to its purchase of Summit, stellar box office performance, massive recapitalization and stock surge that showed Wall Street’s faith in the studio’s direction. With $1.2 billion in domestic box office, Lionsgate finished fifth, ahead of Fox and Paramount. Now it will need to show stockholders it can continue ferreting out possible franchises and executing them in a way auds respond. Meanwhile, the company’s stock is trading at nearly double what it was at the start of 2012. It hit a record close of $16.86 on Nov. 29, closed the year at $16.40 Monday and hit another all-time high in the first session of 2013 as analyst David Miller of B. Riley Caris increased his price target from $18 to $21, reaffirming his “buy” rating. Lionsgate gained 3%, rising 47¢ to $16.87 in trading Wednesday on the New York Stock Exchange. The current price target consensus among analysts is $19.20, representing another run-up of 20%. In November, Lionsgate will move into high gear with potential franchise starter “Ender’s Game” and “The Hunger Games: Catching Fire” opening three weeks apart. Before that, the studio starts 2013 with “Texas Chainsaw Massacre 3D” on Friday and Arnold Schwarzenegger’s “The Last Stand” on Jan. 18. The studio’s 13 titles skedded for the year include Dwayne Johnson actioner “Snitch” on Feb. 22, “Big Wedding” on April 26, caper comedy “Now You See Me” on June 7, “Red 2” on Aug. 2 and Schwarzenegger’s “The Tomb” on Sept. 27. Lionsgate execs see considerable promise in another young-adult franchise “Divergent,” based on the series of dystopic novels by Veronica Roth. Directed by Neil Burger, “Divergent” stars Shailene Woodley and has already been dated for March 21, 2014 — the same weekend on which “Hunger Games” opened. Foreign pre-sales still pay off for Lionsgate, with sales at AFM covering 80% of the budget for “Divergent.” It’s also been developing potential franchises via adaptations of Erin Morgenstern’s “The Night Circus” and Patrick Ness’ “Chaos Walking” trilogy. Bank said it’s not crucial that Lionsgate find another successful franchise in order to remain a major player — but if it does, the studio will hit yet another level. He also cautioned there’s always the danger of overspending in trying to find a hit. Evercore analyst Alan Gould agreed that Wall Street doesn’t need Lionsgate to replicate the success it had with “The Hunger Games” to remain profitable. Gould, who raised his price target from $18 to $20 in November, cited the franchises, predictable earnings growth with lower P&A costs, the deleveraging of the balance sheet and the possibility of a small dividend. “I think it is the right move for management to focus on new franchises — but I highly doubt any investors are expecting ‘Ender’s Game,’ ‘Divergent’ or any other young adult franchises to be the next ‘Hunger Games,’ ” he said. Matthew Harrigan of Wunderlich Securities, who has a $19 target on the stock, believes “The Last Stand” and “I, Frankenstein” will perform well and forecasts international gains for “Catching Fire,” mirroring the improved overseas results for the final “Twilight” film. The proportion of profit derived from the movie side sets the studio apart relative to the six majors, so it’s crucial Lionsgate continues to mint new franchises. The trigger point for the transformation of Lionsgate came in August 2011, when the company paid Carl Icahn $309 million — or $7 a share — for his 33% stake, settling their contentious standoff. The stock has not stopped climbing since. •It started a post-“Twilight” franchise juggernaut with “The Hunger Games,” which cost only $85 million to make. “Games” blew past expectations and became the 13th largest domestic grosser ever with $408 million and another $278 million overseas. • It completed the Summit deal Jan. 13, then shepherded “The Twilight Saga: Breaking Dawn — Part 2” past $800 million worldwide. • It stunned analysts with its latest earnings report (at 56¢ a share, six times above the consensus) thanks to boffo homevid sales of “The Hunger Games.” Management is projecting even better upcoming quarters due to gains in the international box office, paying down its debt load, positive response to new TV series “Anger Management” and “Nashville” and growing digital revenue. • It became the first non-major to top the $1 billion in domestic grosses and $1 billion in foreign grosses in a year, mostly due to “Hunger Games” and “Twilight.” Six other movies (“Expendables 2,” “Madea’s Witness Protection,” “The Possession,” “Sinister,” “Cabin in the Woods,” “What to Expect When You’re Expecting”) topped $40 million domestically. • It closed an $800 million refinancing deal in September with JP Morgan and Bank of America and paid down its $500 million loan to buy Summit in 10 months, more than two years ahead of schedule. • It signed long-term output deals for more than 80% of major foreign markets. The $412.5 million deal for Summit capped a dozen years of acquisitions under CEO Jon Feltheimer and vice chair Michael Burns. The duo orchestrated the acquisitions of film and video libraries including Trimark in 2000, Artisan in 2003, Redbus in 2005, Debmar-Mercury in 2006, Mandate in 2007 and TV Guide Network in 2009, as well as a stake in distrib Roadside Attractions in 2007. Aug. 30, 2011: Carl Icahn and Lionsgate jointly announced Icahn has agreed to sell his 33% stake at $7 a share for a total of $309 million. Jan. 13, 2012: Lionsgate buys Summit in a $412.5 million leveraged buyout; Lionsgate shares at $8.60. March 20, 2012: Lionsgate stock hits all-time high of $15.28 on Wall Street’s bullishness over “The Hunger Games,” which opens three days later and grosses $687 million worldwide. July 10, 2012: Lionsgate announces it will split “Mockingjay,” the final book in “The Hunger Games” trilogy, into two movies with releases on Nov. 21, 2014, and Nov. 20, 2015.
e of the largest such transactions in Hollywood in recent years. Oct. 18, 2012: Lionsgate pays off its $500 million Summit term loan two years early, spiking its stock to a record close of $16.17.